Academic Honors Program | Colorado Mesa Univ. 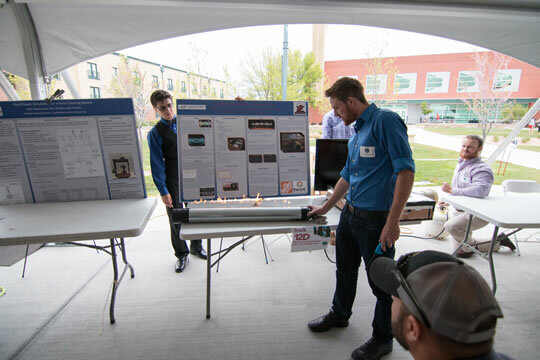 As a member of the National Collegiate Honors Council, the Academic Honors Program at Colorado Mesa University (CMU) offers highly motivated undergraduates enriched studies in their academic major. Honors requirements vary by academic program, but each includes opportunities for students to actively engage in more advanced study through coursework and a capstone project that can include research or creative work presented in a scholarly venue. Students who complete a program's academic honors requirements are recognized at CMU's Commencement Ceremony. Admission to the Honors Program is competitive. Honors program admissions decisions are made by the faculty of each program. To apply, students must have earned at least 45 semester credit hours with a minimum 3.5 grade point average (GPA) at the time of application.